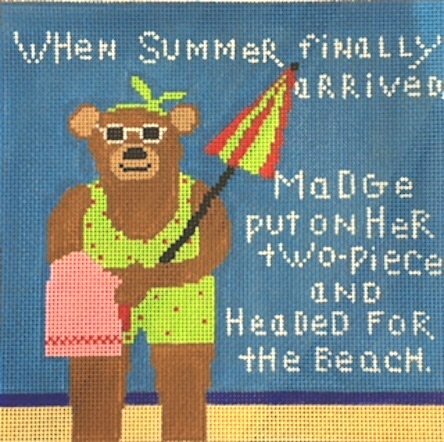 A Madge series needlepoint canvas from Cooper Oaks LR3008-1. Madge is a whimsical, somewhat ornery, character who knows her own mind. On this handpainted canvas Madge is headed to the beach in her two piece.